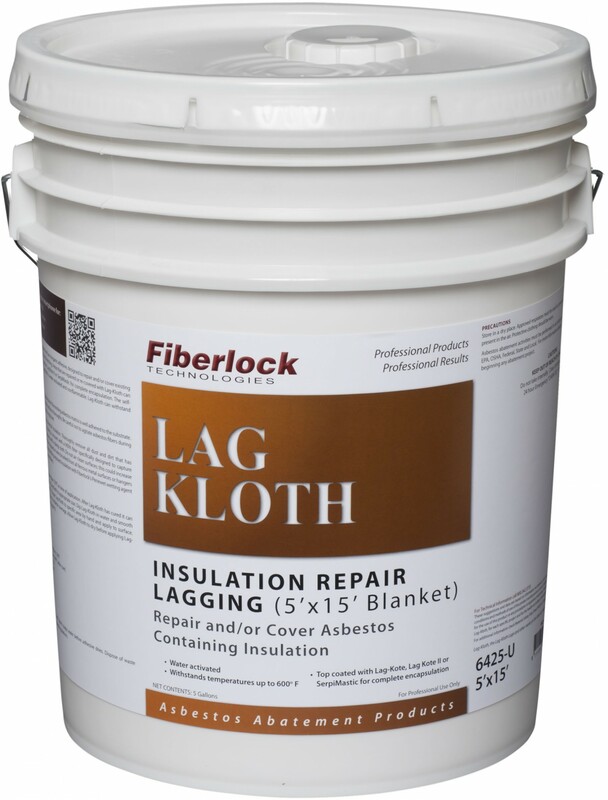 Lag-Kloth is a woven fabric impregnated with an inorganic adhesive, designed to repair and/or cover existing asbestos insulation on pipes, boilers and breeching. Areas that are repaired or re-covered with Lag-Kloth can be successfully top coated with Lag-Kote®, Lag-Kote II or SerpiMastic for complete encapsulation. The self-contained adhesive in Lag-Kloth is water activated and non-flammable. Lag-Kloth can withstand temperatures up to 600°F.